Take advantage of the Model Zoo and grab some pre-trained models and take them for a test drive. You can find different models that are ready to go and here we will show you the basic steps for prepping them and firing up your neural net. Then you can throw some images or other tests at them and see how they perform. If the above download worked then you should have a copy of squeezenet in your model folder or if you used the -i flag it will have installed the model locally in the /caffe2/python/models folder. Alternatively, you can clone the entire repo of models at git clone https://github.com/caffe2/models but you will need to install Git Larg File Storage to download the models themselves. In this tutorial, we’ll use the squeezenet model to identify objects in images. 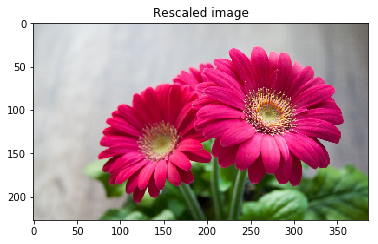 If you came from the Image Pre-Processing Tutorial, you will see that we’re using rescale and crop functions to prep the image, as well as reformatting the image to be CHW, BGR, and finally NCHW. We also correct the image mean, by either using the calculated mean from a provided npy file or statically removing 128 as a placeholder average. run the net and get the results! The results come back as a multidimensional array of probabilities. 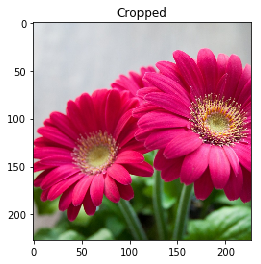 Essentially each row is a percentage chance that the object matches something that the neural net recognizes. When you run the flower it should give you over 95% rating that the flower is a daisy. Settings are in a code block below. Most of the time these should run out of the box. # where you installed caffe2. Probably '~/pytorch' or '~/src/pytorch'. The image location will pass in a URL to a photo or the location of a local file. codes is a list of AlexNet object codes, like “985” which equates to “daisy”. # What model are we using? You should have already converted or downloaded one. # codes - these help decypher the output and source from a list from AlexNet's object codes to provide an result like "tabby cat" or "lemon" depending on what's in the picture you submit to the neural network. In the block below we’re loading the mean file (if it exists) and the image and then pre-processing the image for ingestion into a Caffe2 convolutional neural network! print "Caffe model file, " + PREDICT_NET + " was not found!" print "All needed files found! Loading the model in the next block." All needed files found! Loading the model in the next block. Original image shape:(751, 1280, 3) and remember it should be in H, W, C! Now that the image is ready to be ingested by the CNN, let’s open the protobufs, load them into the workspace, and run the net. See that we have 1000 result there in the middle? If we had submitted more than one image in our batch then the array would be larger, but still have 1000 units there in the middle. It is holding the probability for each category in the pre-trained model. So when you look at the results, it’s like saying, “Computer, what’s the probability that this is a Beryllium sphere?” Or gila monster, or any of the other 998 groups of things in there. Let’s see what you have! Run the next block for the result. # imagenet index begins with 1! Now that you’ve run it, try out some different images. See how well it does across more complicated images or with multiple objects or subjects.